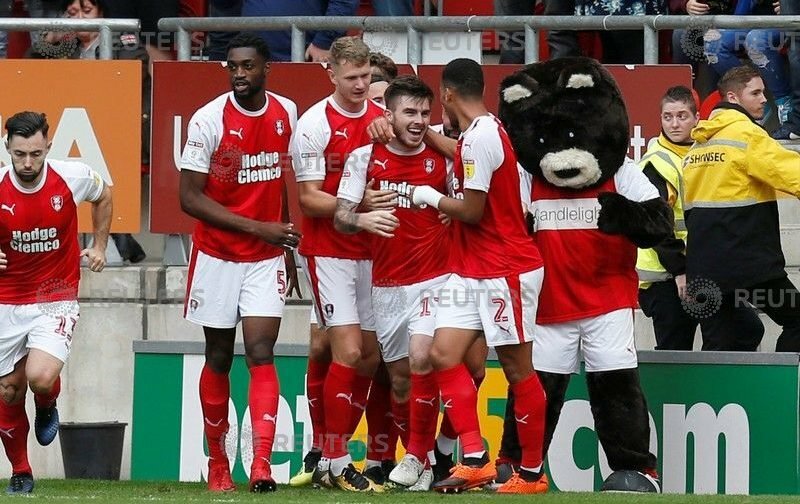 Rotherham United will be looking for a new midfielder in the January sales after Queens Park Rangers recalled Ryan Manning from his loan spell at the New York Stadium. The twenty-two year old joined the Millers in mid-August coming off the subs bench at Elland Road to make his debut his first start being three days later at home to Hull City. Ryan has scored four goals for Rotherham in eighteen appearances, all from the penalty spot two of those coming to give the Millers all three points at the New York Stadium against last seasons Premier League side Swansea City. Unfortunately his last take from the penalty spot against West Bromwich Albion went wide. His last appearance for the Millers was off the bench on Saturday when the team had gone down to nine men away at Bristol Rovers. Was it much of a surprise that QPR want Ryan back? No, I don’t think it is although, for the Millers, it is a bit of a dilemma with Richie Towell out suspended for three games and Billy Jones out suspended for tomorrow too we perhaps could have done with Manning in the starting eleven. All at Vital Rotherham wish Ryan ‘all the best’ in his future.